Manhattan Laser Spa specializes in beautiful, natural-appearing lip enhancement. With our treatment, your lips will look plump and luscious yet still subtly natural. Our techniques emphasize the attractiveness of your lips, enhance their contour and define their shape. We use an ultra-thin needle to insert a dermal filler beneath the surface of your lips for beautiful plumping. The filler is crafted from hyaluronic acid, a nutrient-rich substance found naturally in your body. It plumps your lips for a long-lasting, safe impact. This is a smooth gel that produces immediate, natural-feeling, luscious results. You can enhance your lips with our talented specialists every six to 12 months. Lip enhancement with a derma filler is recommended because of its soft feel and natural look. 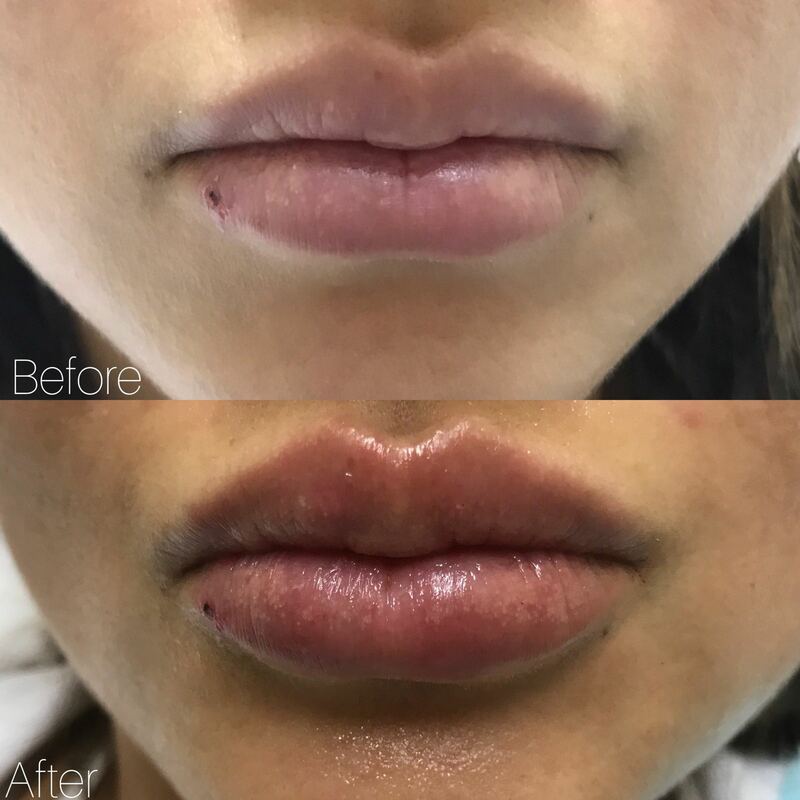 With the treatment for lip enhancement, you won't need to worry about "duck lips." Instead, you'll get the beautiful, sensual look you desire, with youthful plumpness. 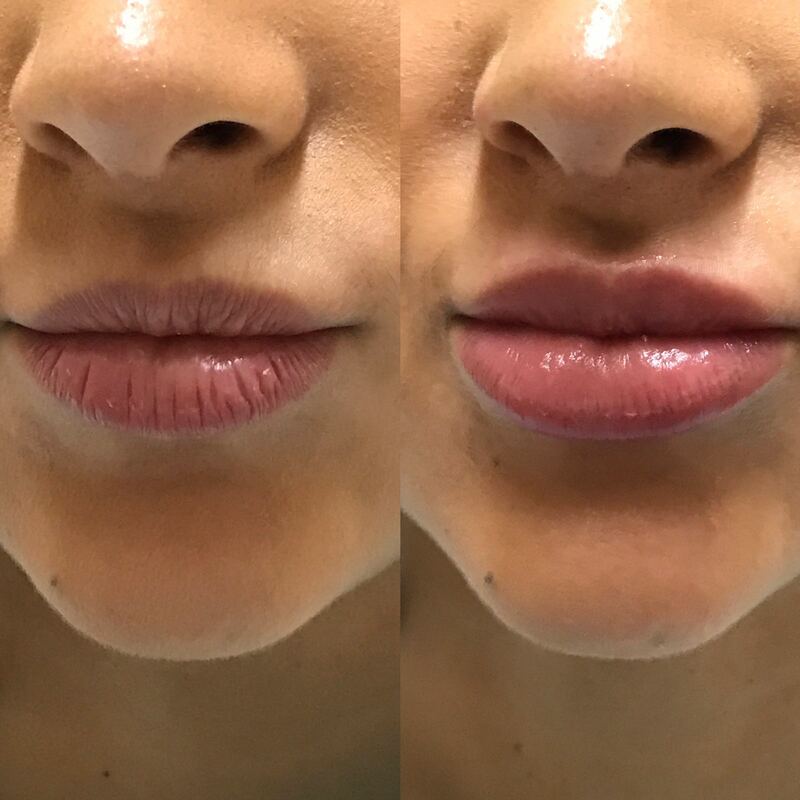 At our clinic, you'll receive lip injections from an expert who has been specially trained in the use of this precision volumizing treatment. Lip enhancement with a dermal filler can be done quickly in a lunch-hour or after-work appointment. Each appointment takes approximately 30 to 45 minutes, and the results are immediate. You'll be able to see the beautiful impact right away. It is specially formulated to contain lidocaine, which ensures that the client feels a comfortable procedure without extra anesthetic or numbing agents. You can return right away to your daily activities after your lip enhancement. How long does this procedure last? We use a long-lasting dermal filler, and you can enjoy the beautiful appearance of your enhanced lips for a full six months to a year. Because the dermal filler is completely natural and based on the building blocks of your body's own youthful, plump skin, you can get a new treatment right away if you desire. You can also rest assured that if you want to reduce or add more filler to your lips, it's safe and effective to do so . Call us today to make an appointment for your lip enhancement procedure. We'll go over everything you need to know, and you'll enjoy professional service from a highly qualified and trained aesthetic injection specialist.